The Cloverfield Paradox is a 2018 American science fiction horror film directed by Julius Onah, written by Oren Uziel and Doug Jung, and produced by J. J. Abrams’s Bad Robot Productions. It is the third installment in the Cloverfield anthological film series, following Cloverfield (2008 ) and 10 Cloverfield Lane (2016). The film stars Daniel Brühl, Elizabeth Debicki, Aksel Hennie, Gugu Mbatha-Raw, Chris O’Dowd, John Ortiz, David Oyelowo and Zhang Ziyi, and follows an international group of astronauts aboard a space station who, after using a particle accelerator to try to solve Earth’s energy crisis, must find a way home after accidentally traveling to an alternate dimension. 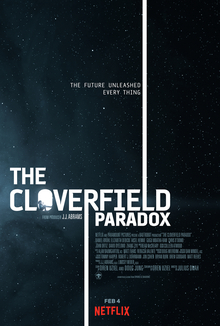 With the earth facing an energy crisis, the space agencies of the world prepare to test the Shepard particle accelerator aboard the orbiting Cloverfield Station, which would provide Earth with infinite energy, while conspiracy theorists fear it will create the “Cloverfield Paradox”, opening portals to allow horrors from parallel universes to threaten Earth. The crew consists of Ava Hamilton, a British engineer who frets about leaving her husband Michael potentially for years, as their relationship struggles since the loss of their children to a house fire, American commander Kiel, German physicist Ernst Schmidt, Brazilian medical doctor Monk Acosta, Irish engineer Mundy, Russian engineer Volkov, and Chinese engineer Tam. Two years of unsuccessful testing they finally achieve a seemingly stable beam, but it then overloads and creates a power surge on the station. The earth vanishes from view and the find the gyroscope missing. The crew start repairs but they hear screaming from inside the walls and find a woman named Mina Jensen fused with wires. They treat her wounds but Volkov fears something crawling beneath his skin and is compelled to craft a gun using an on-board 3D printer. He uses the gun to threaten the crew, but as he does so he convulses and dies, and the station’s colony of worms bursts out of him. Jensen tells Ava not to trust Schmidt, who is soon discovered to be a spy sent by the German government to keep the Shepard shut down. Mundy’s arm gets pulled into a solid wall and is severed clean off, without bleeding or pain. They find the arm roaming of its own volition. 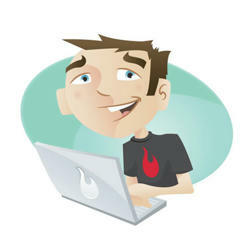 When they recognize that it is trying to write something, it instructs them to “cut Volkov open”. Once they do, they find the missing gyroscope. They quickly locate Earth and restore their communications, but transmissions state that Cloverfield Station was destroyed and fell to Earth two days prior. The crew understand from readings that they must have moved to an alternate universe Jensen is found to be a crew member of the space station from this universe. She shows Hamilton that here, her kids haven’t died and she stayed on Earth as a civilian engineer, and Jensen replaced Tam as the station’s engineer. As they begin to work on repairs, Tam is killed in a freak accident. Hamilton decides to return with Jensen to Earth to be with her children. As they prepare, Mundy is killed in an explosion caused by a strange magnetic field. After the explosion, Kiel sacrifices himself to disengage a wildly-spinning accelerator ring that was jeopardizing the station, leaving Hamilton in charge. On earth, Michael finds a wave of destruction on earth and heads to the hospital, finding a young girl named Molly on the way. He sees a giant monster out in the distance and after learning that the hospital has been destroyed, he takes her to an underground shelter belonging to a friend and tends to her wounds. On the station, Jenson knocks out Hamilton and kills Monk, wounds Schmidt, and insists that the station must stay in her universe to keep the Shepard device there. Once she wakes up, Hamilton shoots a hole in a window, ejecting Jenson out into space. Hamilton decides to return to their universe with Schmidt and makes a recording for her alternate universe self, giving her the plans for the Shepard device and stressing the importance of her family. Hamilton and Schmidt reverse the universe shift and use Tam’s modifications to finally make Shepard work. After reporting in, the two eject themselves in an evacuation capsule towards Earth. Michael rushes to see his wife but as the capsule re-enters the Earth’s atmosphere, a giant monster comes up, roaring through the mist of a mountain. The narration is odd and I tried to be excited for this film but is a bit of a trainwreck. The best moments are from Irish actor Chris O’Dowd as Mundy who despite losing his arm does some fine comedic lines. I’ll give it a reluctant 7 outta 10!